It’s difficult to choose a favorite interior design project, but I would have to say that few have as much joy and love poured into them as decorating and painting a nursery. There are so many angles you can take, from magical to mellow, from gender-specific to completely neutral. 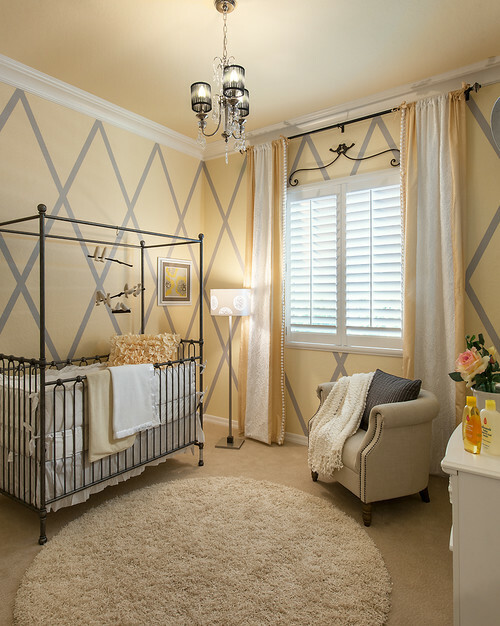 The following are beautiful nursery designs I thought you could use for inspiration. Classic. Your new bundle of joy will appreciate a peaceful environment, but it’s the parents and caregivers who spend the most time in the nursery. 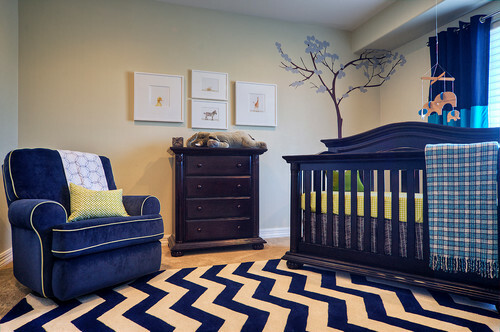 A classic nursery, using straightforward colors and patterns provides an attractive interior without being too baby-fied. Black-and-White. Studies have shown that babies are most visually stimulated by the contrast of black and white, and basic geometric patterns. A nursery that uses black and white will be appreciated by both adults and the baby, and the accent colors can be changed over time. Colorful. If you know the gender of the baby, you can go traditionally blue or pink, with gender-appropriate accents. Similarly, you can use a range of colors to make a fun space the child will enjoy growing up in. Please feel free to contact us at Susan Currie Design for assistance designing your nursery.